*$35 ACTIVATION, EARLY TERMINATION FEE OF $20/MO. FOR EACH MONTH REMAINING ON AGMT., EQUIPMENT NON-RETURN & ADD’L FEES APPLY. Price incl. Ultimate Pkg. [, monthly service and equip. fees for 1 HD DVR] & is after $5/mo. autopay discount for 12 mo. Pay $60/mo. + taxes until credit starts w/in 3 bills. New approved residential customers only (equipment lease req’d). Credit card req’d (except MA & PA). Restr’s apply. Do you love to watch movies and binge on original TV series? If yes, then you’ll want to check out DIRECTV ULTIMATE Package. With a vast channel line-up including various Encore channels, this package offers an amazing entertainment experience. Being one of DIRECTV’s top packages, the ULTIMATE Package offers outstanding entertainment potential. 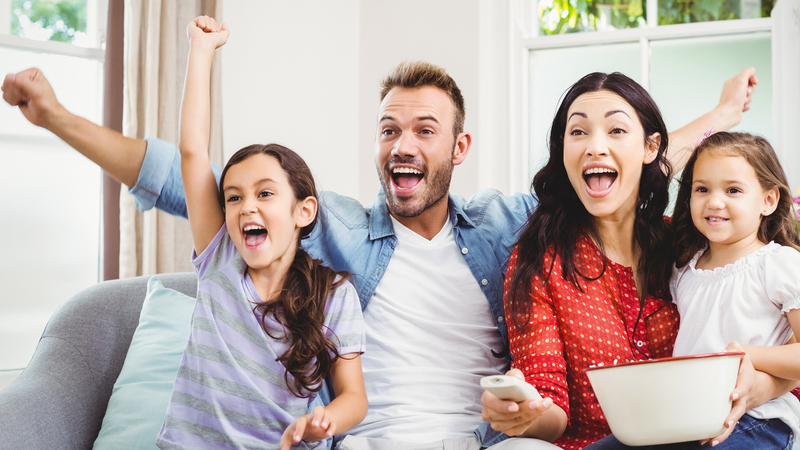 Enjoy some of the most famous TV shows, along with sports, original programs, and movies that are included in DIRECTV ULTIMATE. Have fun watching new releases and classic favorites, as well as original series on Encore’s numerous premium networks. Get more Spanish programming on El Rey and watch football on Univision Deportes Network. No need to feel nostalgic when you can rather enjoy watching your favorite classic cartoons on Boomerang, a family favorite! See mysteries and thrillers on Cloo and Chiller, as well as movies on The Movie Channel. Some of your TV shows are likely to overlap. When you have Genie®, you don’t have to worry about missing any of your TV shows, because you can record up to 5 programs at once. Your TV isn’t the only way to watch your favorite shows. Stream live TV on your tablet when you have the free DIRECTV app for tablets. Get access to this application and other free mobile apps when you order the ULTIMATE Package. Enjoy more programming in the crisp quality of HD. DIRECTV has over 200 full-time HD channels, many of which are included in the DIRECTV Package. Order today and enjoy TV in HD. Love To Watch All Types Of Programs? The DIRECTV ULTIMATE Package Is The Best Solution For You! Now you can make any night, a movie night with the highly affordable package by DIRECTV. Catch new releases on Encore, see family favorites on Encore Family and watch the best thrillers with Encore Suspense. Tune in to Chiller for frighteningly fun programming, and take a look at The Movie Channel for all kinds of movies. Get this package and enhance your movie experience. The ULTIMATE Package is your ticket to a great deal of entertainment through a variety of channels. With plenty of networks for sports, news, shows, educational programming and more, this plan will certainly please the whole family. Don’t miss out on any of your favorite TV shows or must-see programming – buy this package and enjoy more channels! The ULTIMATE Package offers you a great deal of entertainment at a fantastic value. To add more value to your package, include superfast Internet service and save your time and money on TV and Internet services. With DIRECTV Everywhere, you can watch your favorite movies and control your DVR on-the-go from any web-enabled device. Watch live TV and enjoy on-demand movies with the DIRECTV application for your phone or tablet. Get DIRECTV today and stay entertained everywhere.